The automotive battery sensor market is estimated to be USD 2.35 billion in 2018 and is projected to grow at a CAGR of 11.09% during the forecast period (2018–2025), to reach a market size of USD 4.92 billion by 2025. Rising emission concerns to curb CO2, increasing sales of high-end vehicles, and growing vehicle production are some of the major factors driving the growth of the automotive battery sensor market. System malfunctioning is a major factor which is restraining the overall growth of the market. The rising demand for fuel-efficient vehicles, coupled with increasingly stringent emission norms, has propelled the growth of the passenger car segment for automotive battery sensor market. The factors driving the overall growth of PC are the rising demand for luxury vehicles, increased passenger car production in China, India, and Mexico, stringent CO2 emissions, and improved battery life. Also, the adoption of advanced technologies continues to be high for passenger cars due to the higher production and sales of passenger cars worldwide in comparison to commercial vehicles. The growing sales of HEVs in Japan, China, India, and others are driving the market for automotive battery sensor. Automotive manufacturers are focusing on the production of hybrid vehicles to meet the stringent emission norms. Moreover, policies such as exemption from road tax, crowding charge waiver, and free car parks at various places have encouraged consumers to buy hybrid vehicles. In Asia Pacific, the adoption of HEVs is increasing. China, India, and Japan have made significant investments to encourage the adoption of HEVs. Asia Pacific is estimated to be the fastest growing market for automotive battery sensor, with China accounting for the largest market share in 2018. The market growth in the region can be attributed to the increasing vehicle production, high demand for luxury vehicles, rising emission concerns, and growing demand for commercial vehicles. The study contains insights provided by various industry experts, ranging from equipment suppliers to Tier-1 companies and Tier-2 companies. The report covers the automotive battery sensor market, in terms of volume (000’ Units) and value (USD million). It explains the quantitative aspects of the automotive battery sensor market based on voltage type (12V, 24V, and 48V). The report also segments the automotive battery sensor market by communication technology (LIN and CAN), hybrid vehicle (HEV and PHEV), vehicle type (PC, LCV, and HCV), and region. The market has been projected, in terms of volume (000’ units) and value (USD million). Market Penetration: The report provides comprehensive information on automotive battery sensor market and the top players in the industry. Regulatory Framework: The report offers detailed insights into norms related to the automotive battery sensor and the effect of the regulations on the market. 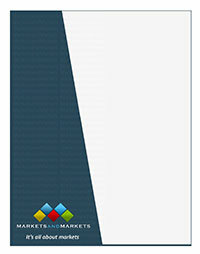 Market Development: The report provides comprehensive information on various technologies of automotive battery sensor. The report analyzes the markets for various automotive battery sensor technologies across different countries. Market Diversification: The report provides exhaustive information about emerging technologies, recent developments, and investments in the global automotive battery sensor market. Competitive Assessment: The report offers an in-depth assessment of strategies, services, and manufacturing capabilities of leading players in the global automotive battery sensor market.